Bradley Martin is a Partner and Senior Relationship Manager at Balentine. In this role, he provides comprehensive wealth management and investment advice to high-net-worth individuals and their families. Bradley brings more than a decade of industry experience to Balentine. Upon graduating from the University of Virginia, Bradley began his career in financial journalism, working as a writer and producer for CNBC, CNN, and WebFN in New York, Atlanta, and Chicago, respectively. After earning his MBA in finance from the University of Georgia’s Terry College of Business, Bradley worked for more than four years as a private banker at Credit Suisse, leading his global recruiting class in business development and overall assets under management. 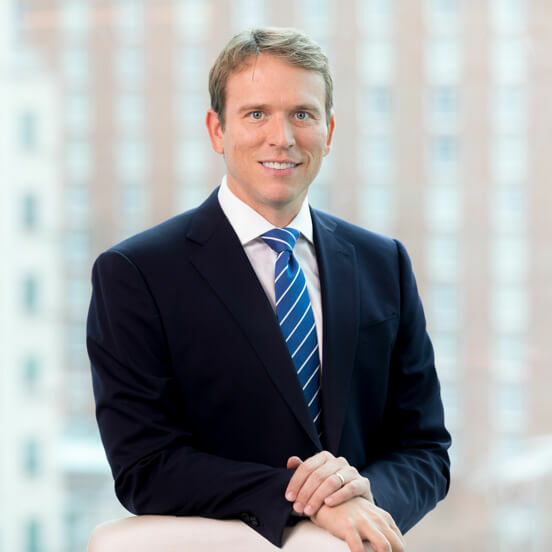 Bradley specialized in serving families with closely held businesses at Credit Suisse before departing to head the Southeastern operations of SoFi, a leading marketplace lender. Bradley joined Balentine in 2014 and was named partner in 2018. He serves on the board of trustees of the Kiwanis Foundation of Atlanta and is a member of Ansley Golf Club. Deciding to leave the television industry despite a promising career trajectory. When I departed, I was working on the number one show in the number one market in financial news. I had plenty of support to pursue bigger roles, but my gut told me to change industries (via business school) in efforts to pursue other goals in life, such as a wife, children, and (sometimes to my chagrin) home ownership. Structure. I cut my investments teeth in the brokerage world, and in short order I realized it wasn’t going to be a long-term fit. I stuck it out, hoping for brighter days ahead, but I would have done better to trust my gut from the outset. In my opinion, Balentine’s conflict-free, team-oriented approach is the future of wealth management because, quite simply, it is the only model which truly puts clients first. The Balentine business structure enables me to feel good about what I do for a living which makes for a much better home life, as well. Our determination to get it right. I don’t know if there is another wealth management firm on the planet more concerned about building a legacy of fulfilled clients and employees. How does the work you do make a difference? I like to think I provide clients with peace of mind. My goal is to help them understand the bigger picture and to present all available options when they make financial decisions. I believe in what we do at Balentine, and I love extending our services to those who are most in need.